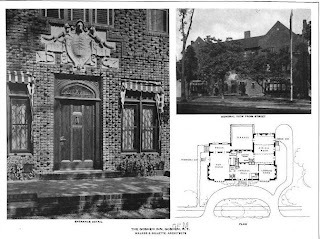 The Goshen Inn designed by Walker & Gillette c. 1912 in Goshen, New York. 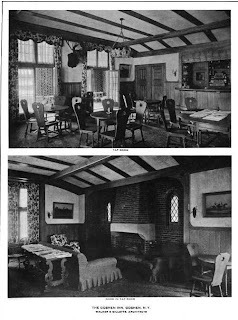 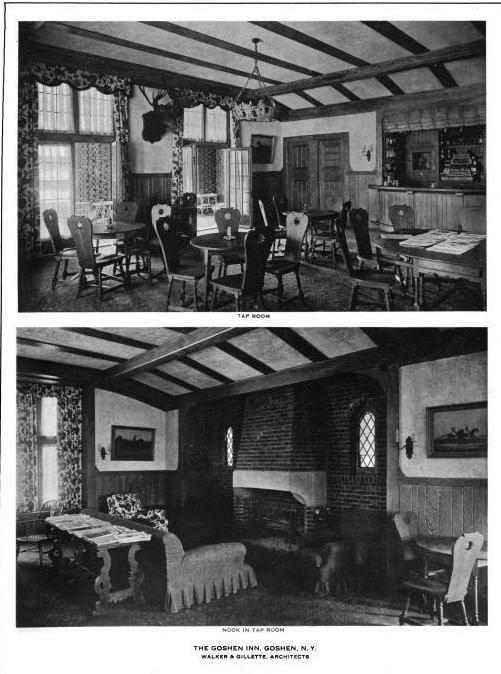 The inn was largely financed by the residents of Tuxedo and Arden under the leadership of Mrs. E.H. Harriman. 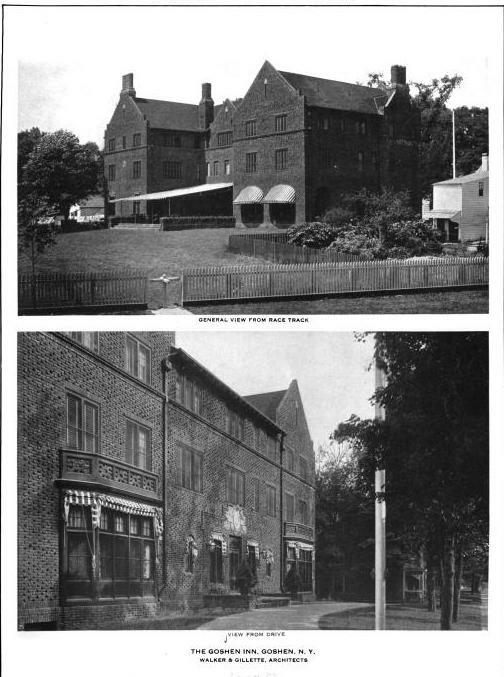 The building was sited to front the Goshen Common while the rear faced the race track at the fair grounds. Click HERE for a 1912 NYTimes article on the construction of the Goshen Inn. 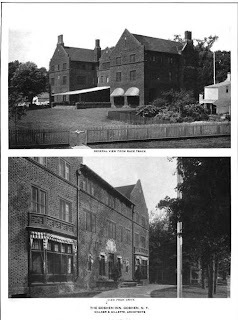 Today the inn functions as a catering hall, click HERE to see it on bing.